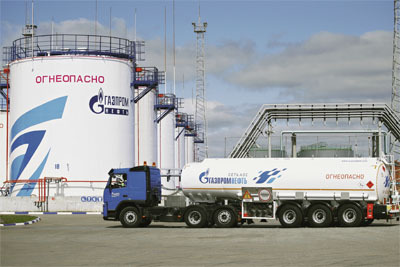 The Gazprom Neft Omsk oil storage facility (tank farm), Gazpromneft-Terminal, has been awarded the Grand Prix at the IV International Awards for the Best Oil Terminals and Tank Farms in Russia, the CIS and Baltic countries, held as part of this year’s 10th annual Congress on Crude Oil, LPG and Petroleum Products Trading and Transportation — Oil Terminal 2015, St Petersburg. The facility was nominated in the “Best tank farm in Russia and the CIS: innovations and safety” category. The Omsk tank farm became, in 2014, the first to see work completed as part of an extensive refurbishment program of Gazprom Neft’s oil storage facilities. Modernisation of the Omsk tank farm has allowed significant improvements in production efficiency, lower costs in oil transhipment and storage, and better safety throughout the facility. The tank farm is fully automated, with a metering system for oil products now installed, a self-service system for drivers reducing off-loading times three-fold, and new software removing any possibility of inaccuracies in oil volumes offloaded.